Bozeman MT Custom Wood Furniture Store | Black Timber Furniture Co.
"Your craftsmanship is tremendous and has transformed the house we purchased into our home. Your team is wonderful." 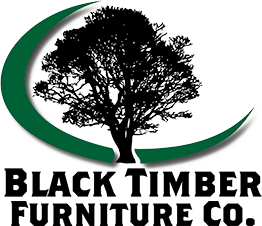 Black Timber Furniture Co. specializes in handcrafting custom, solid wood furniture for clients in Southwest Montana and across North America. Owned by skilled carpenter and veteran Todd Fullerton, our customer service is built on traditional American values and we are devoted to quality and sustainability. Our passion and pride. Most of our products are locally sourced, free of chemicals, and designed to be both functional and artistic. We specialize in styles like Mission, Shaker, Rustic or Reclaimed Wood, live edge, contemporary, and designer custom furniture projects for residential and commercial jobs. Our work has been seen in homes, hotels, banks, resorts, lodges, commercial offices, and universities throughout the nation. We invite you to visit our showroom in Bozeman, Montana. It serves as a sales floor as well as a source of inspiration for customers looking for made-to-order pieces.